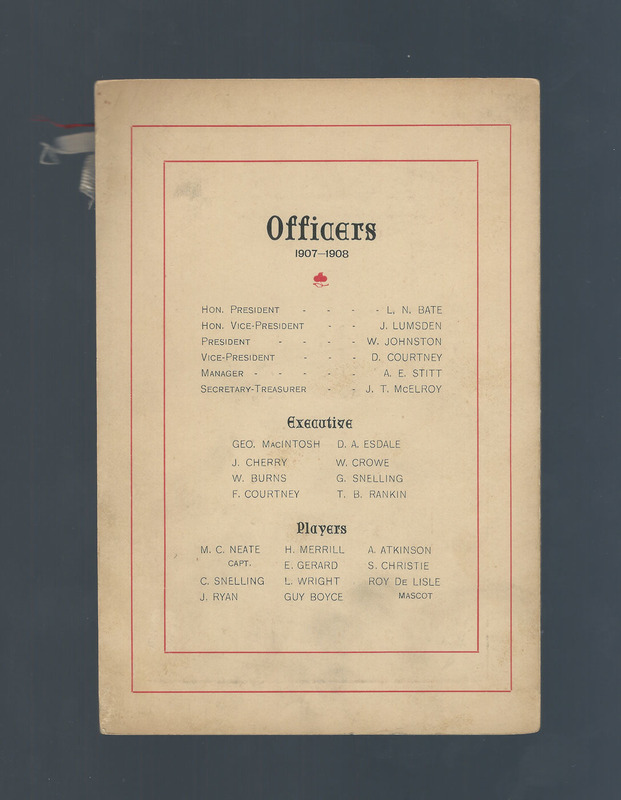 Features Hall of Famers, Eddie Gerard as player and Alf Smith, Harvey Pulford and Tommy Gorman as dignitaries. 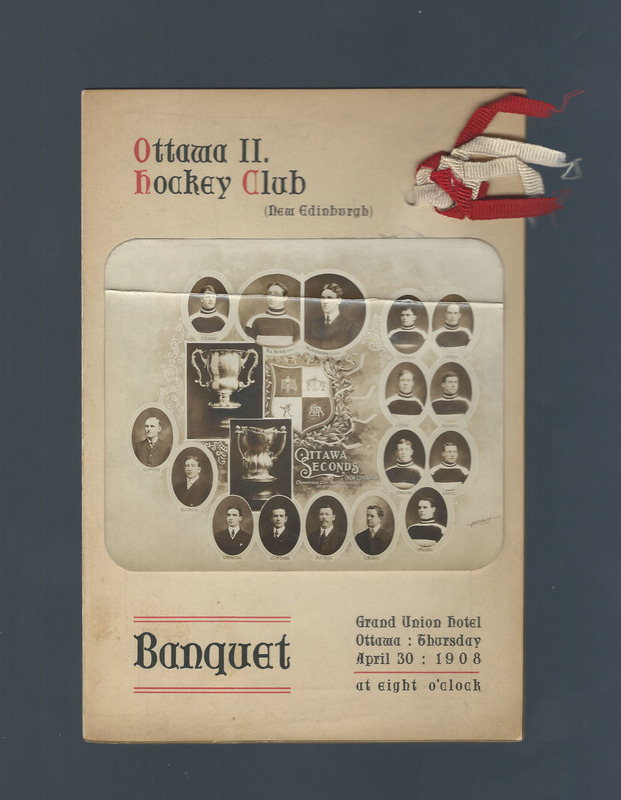 The Banquet card is the only one I have seen and hails from the earliest period in Canadian hockey history. The team photo with players and administration is attached to the front. Players are Eddie Gerard (HHOF), Archie Atkinson, Lou Wright (goalie), Jack Ryan, Stew Christie, Charlie Snelling, Guy Boyce and Horace Merrill. 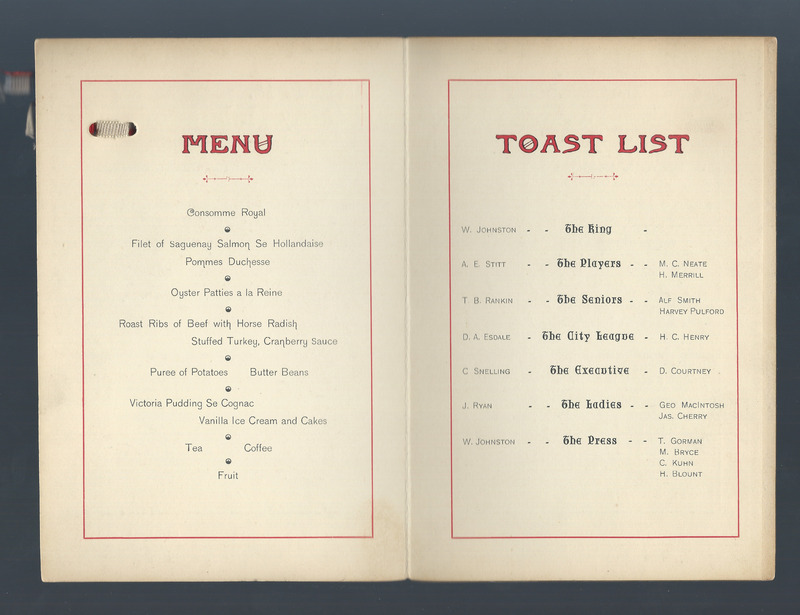 The Toast list includes Tommy Gorman, Harvey Pulford and Alf Smith. The original red and white ribbon still adorns the front cover. There is a crease in the photo. Otherwise the remainder of the gate fold is in very nice condition with no writing or paper loss.